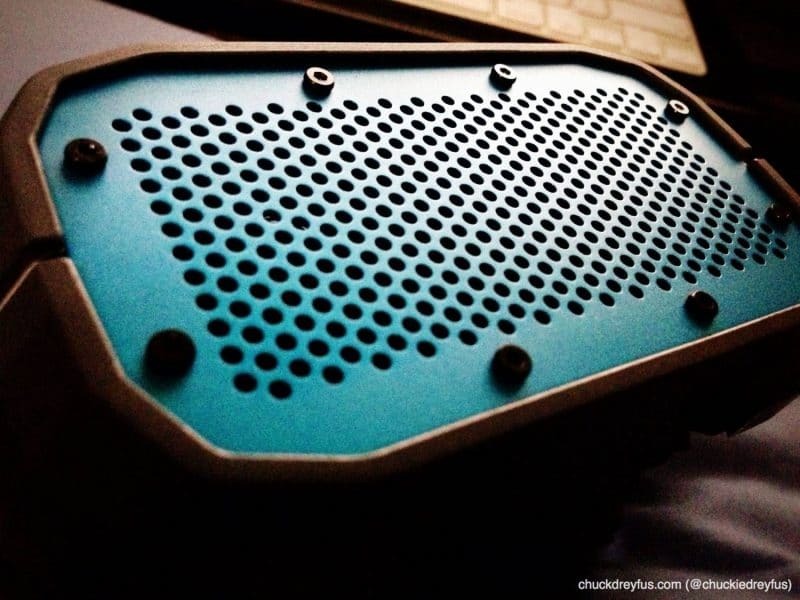 The Braven BRV-1 Wireless HD Speaker (Speakerphone/Phone Charger) - All Chucked Up! The Braven BRV-1 is an awesome sounding HD speaker. It doesn’t just sound “okay”. It sounds grrrreat! The clarity of the mid-range and highs coming from the front speaker are a joy to listen to while the bottom-side speaker of the BRV-1 is responsible for its impressive low frequencies. Yep! The Braven BRV-1 connects to your device via Bluetooth. It rids you of unnecessary clutter and messy tangles. The BRV-1 remembers the last 5 devices it has paired with so you don’t have to keep on doing a pairing process everytime you reconnect your bluetooth-capable smartphone or music player to it. Don’t have bluetooth? No worries! 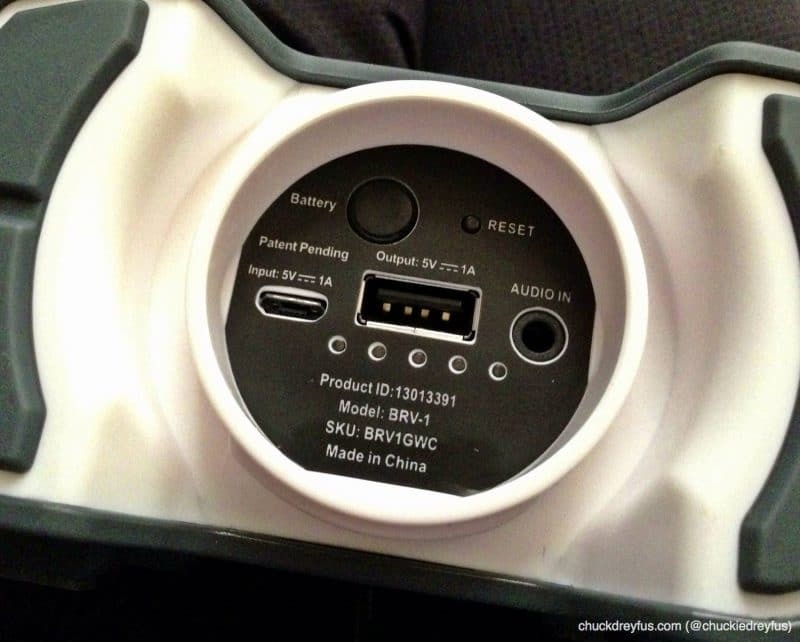 The BRV-1 also comes with an audio cable so you can physically connect your device to it. No electrical outlet to charge your phone? No problem! The BRV-1’s internal power also serves as a 1400mAh power bank that you can use to charge your phone/device during emergency situations when your gadget’s battery is already on the red. It comes with its own USB cable so you can easily connect your power-depleted smartphone to the BRV-1’s internal power pack. 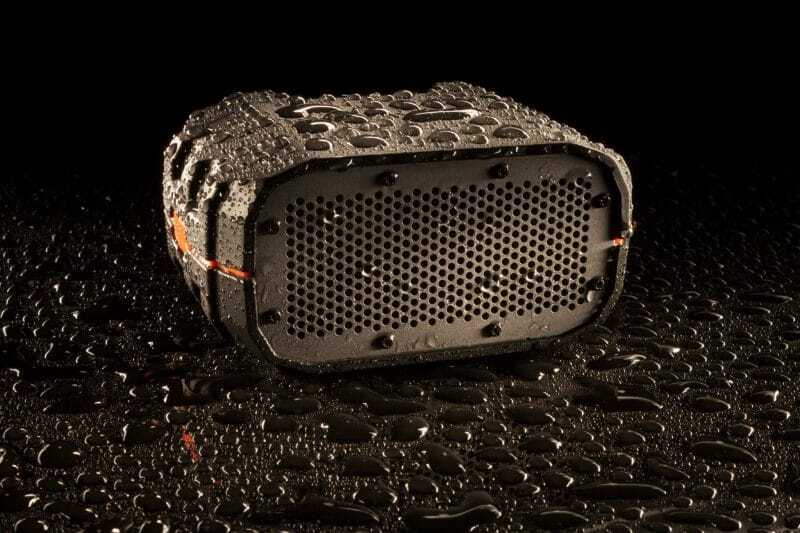 Bring the Braven BRV-1 anywhere – play music in the rain, jam by the pool, subject it to the most extreme weather conditions, let an amused toddler bang it up for all you care…! This baby was built to rough it up with the meanest of ’em. Perfect! Sophisticated yet rugged… Playful yet reliable. 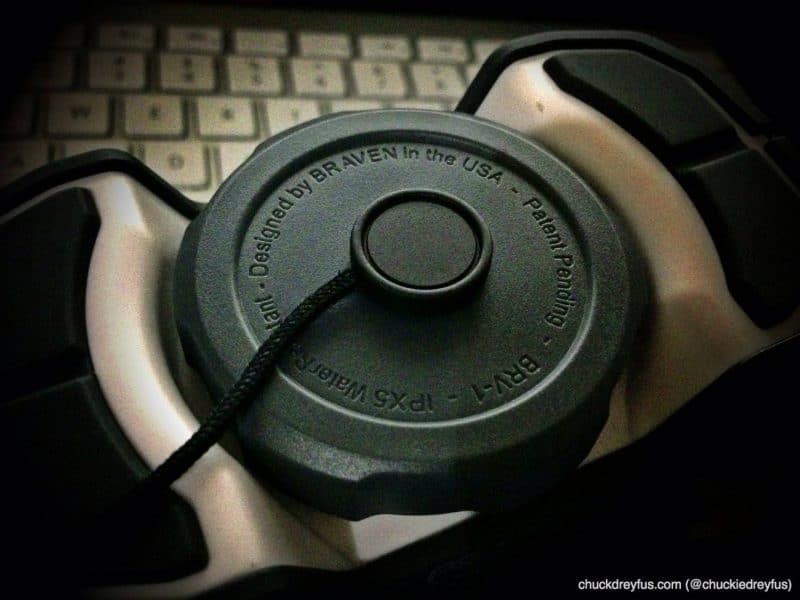 The Braven BRV-1 is one dependable travel partner. Out of town or not, you’ll always find some sort of use for it. My Braven BRV-1 actually sits right beside my bed whenever I’m home… perfect for those times when you just want to doze off with gentle music playing in the background or when you’d rather go “handsfree” in bed cause you’re too lazy to hold a phone to your ear during calls. By the way…! Holy Week vacation is coming up in a few days. For most, that means long road trips and far-off escapades, not to mention the unpredictable weather and environment conditions when you reach your destination. A Braven BRV-1 Wireless HD Speaker can most definitely come in handy during times like these. 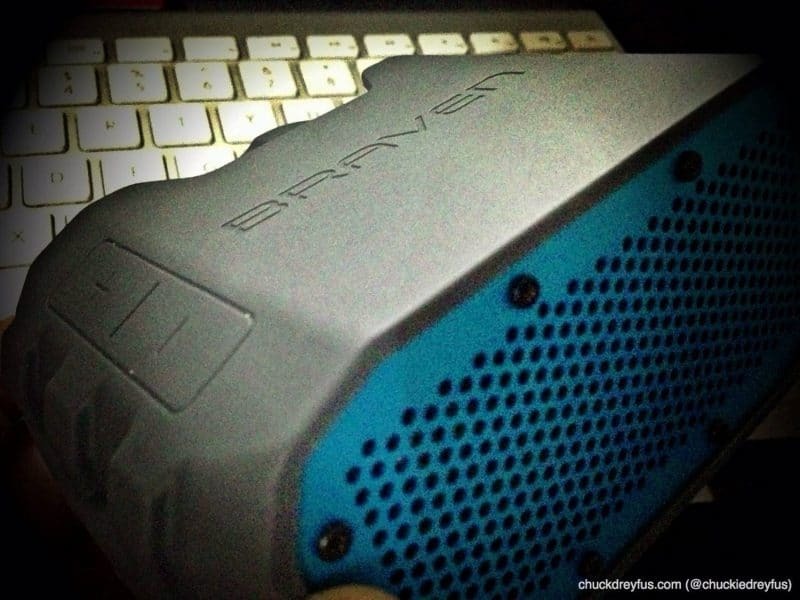 The Braven BRV-1 retails for Php 7,450.00 and can be purchased at all Beyond The Box outlets in and around Metro Manila. Anyway you look at it, the Braven BRV-1 is a great buy. Superior sound, extreme portability and dependable power all rolled into one. 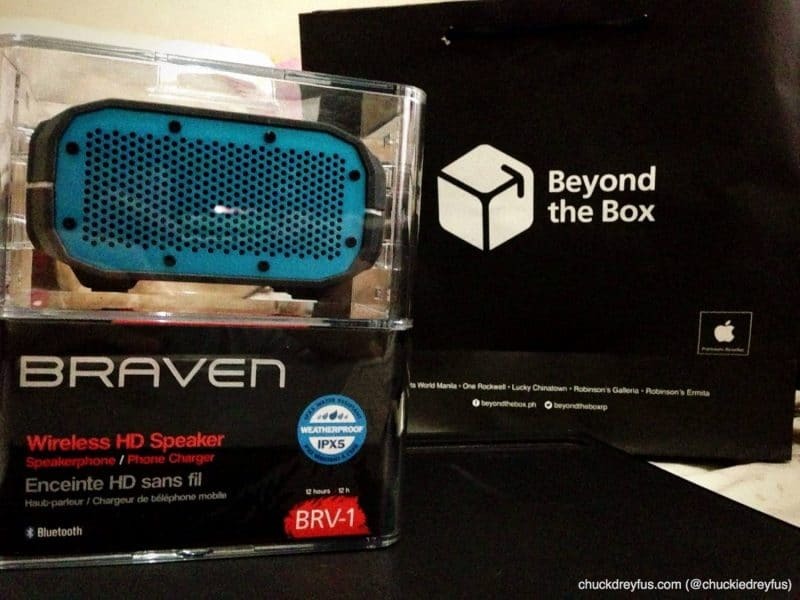 Should you want to know more about the Braven BRV-1 Wireless HD Speaker (Speakerphone/Phone Charger), best to pay the good folks of Beyond The Box a visit in any of their branches. You can also follow Beyond The Box on Twitter by clicking here.